Quirky pen and ink illustrations designed to make you smile. Thank you for following my SALA exhibition during August and September. For those of you that didn’t make it you still have a chance to see my owl street art scattered along Melbourne Street! See if you can find all thirty owls! 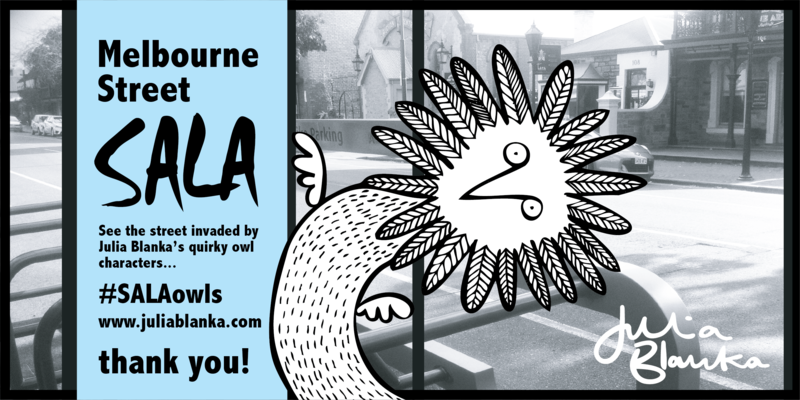 ← #SALAowls have invaded Melbourne Street!